The ALA Youth Media Awards have been announced! All winners can be seen in this article, published this morning. But the big news? A picture book won the Newbery! Yep! Last Stop on Market Street received the prestigious Newbery AND a Caldecott Honor. I reviewed it way back when and I think I nailed it on the head when I said adults would find much to appreciate in it. But I certainly didn't think adults would appreciate it this much! So while no one could predict the Newbery winner, guess who predicted ALL the Newbery honor books? That's right. This girl. Total bragging moment. As for the Caldecotts? Well, as you'll see in that post, I didn't get a single prediction right. Which I'm still upset about because I really liked those picture books. Everyone knows yetis love winter. They love snowball fights and hot chocolate and sledding and building snow castles. But even yetis get the shivers, and even yetis get crabby from all the cold. So here’s a secret about yetis: sometimes they miss summer. Sometimes, they have to bring a little bit of summer to the coldest of winter days. Those yetis, they're just full of surprises. Okay, the higher rating might have to do more with my love of winter and affinity with yetis. But beyond personal preference, this book is really quite adorable. The storyline is simple to understand: sometimes you miss the season you're not in. So why not have a picnic in winter? Or snowball fight in summer? Kids will have a lot of fun with pairing up different seasons with unexpected seasonal activities. And the illustrations? ADORABLE. Just look at that yeti on the cover! Don't you just want to squish him?! 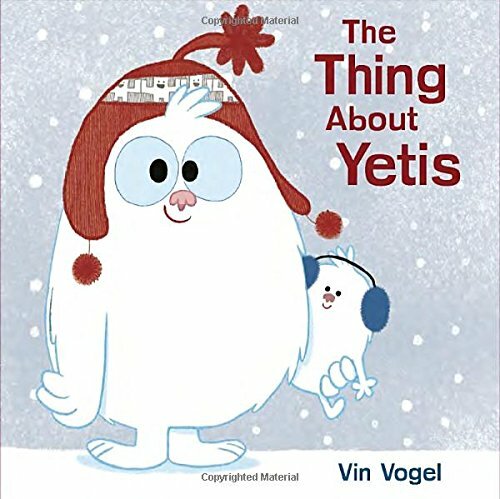 And all the fun winter/summer activities the yetis do are really well depicted throughout. Also, since there's an emphasis on emotions, Vogel does an excellent job displaying those, too. Honestly, it's a perfect mid-January read and it'd be SO FUN to read in a storytime about seasons. Definitely recommended.